We're mid-way through the year, and I'm just wondering how everyone is doing with their words? I won't lie, the last several weeks I've been in a bit of a "blah" mood. 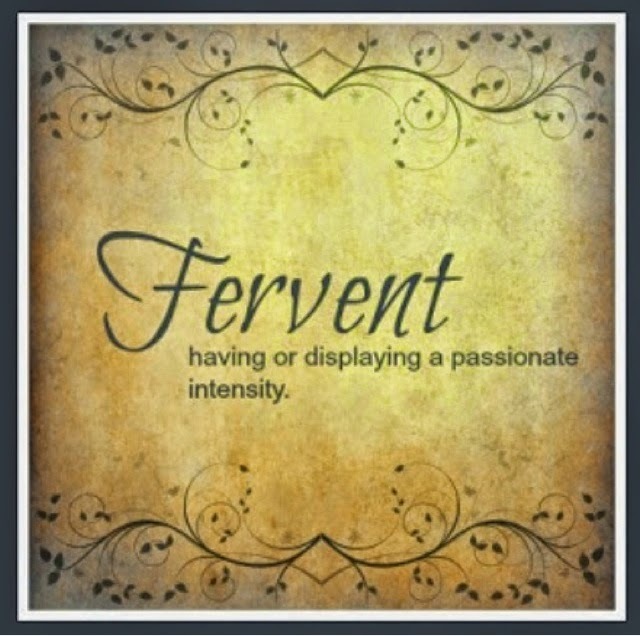 Makes being fervent a tad hard when you can't even rouse much more than an "eh" over things. But I've recently been reminded that we don't follow our feelings, we follow our God. And while the blahs haven't left yet, I can still pray with a fervency and power that is attached to him. A fervency that he ignites regardless of my feelings. A fervency that looses here on earth what is in Heaven. And eventually these lovely, incredibly human feelings will follow if I just don't give up!